Dentsply Sirona, one of the largest manufacturers of professional dental products and technologies, and Carbon, a leading Silicon Valley-based digital manufacturing company announced in an official release that the two companies have entered into a strategic collaboration to deliver groundbreaking denture materials for Carbon digital 3D printing production solutions. 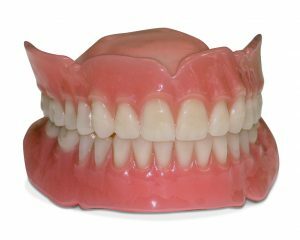 By bringing to market the first premium printable denture material system that will provide significant advancements in terms of material benefits, laboratory process, and patient function, Dentsply Sirona and Carbon are committed to taking the category to an entirely new level. Dentsply Sirona brings over 100 years of experience in the development of denture materials, as well as extensive expertise in scanning, and CAD/CAM software including well-known brands such as Lucitone, IPN, and inLab that are globally recognized for quality and durability. Leveraging Carbon printers and innovative Digital Light Synthesis™ technology for high-resolution output and high-throughput capacity, the new Dentsply Sirona materials will establish a paradigm shift in terms of strength, aesthetics, and laboratory efficiencies for 3D printed dentures. For years now, Carbon has been offering a revolutionary alternative to 3D printing, using light and oxygen to rapidly produce high-quality, end-use products from a pool of resin. Its robust and reliable family of 3D printers based on proprietary Digital Light Synthesis™ technology, coupled with its innovative software and broad portfolio of materials, deliver a complete and comprehensive digital manufacturing solution for all dental production needs. Carbon solutions are known to significantly improve efficiency and accuracy, reduce time from design to manufacture, and provide important features such as part traceability and serialization through next-gen software design tools. With Carbon, everything is digitally traceable, down to a unique ID that can automatically be engraved or embossed on any part. This capability is particularly valuable for highly regulated industries like dental, where the Food & Drug Administration (FDA) will increasingly require part-specific data to ensure product performance and patient safety.